I just spent the past week in San Jose with some of the best customers that I could ever ask for. As many of you know, last week was ConfD Developer Days 2018. 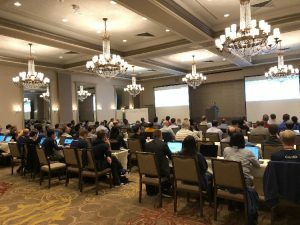 The well-attended event was packed with great sessions on the importance of programmability in today’s hyper-focused network automation world. I want to thank everyone who joined us at the event and all those that helped make it happen. I also wanted to share some of my key takeaways from this year’s event. First, the knowledge of our customers is amazing as many took part in sharing their thoughts and approaches to better programmability. There is nothing like learning from those who are at the edge of network management making sure their customers are connected and have the automation they need. Second, were the many conversations around containers and cloud-native microservices and the need for orchestration. This was a great opportunity to hear what the market is dealing with and share an introduction on how to run ConfD within Docker and Kubernetes. For those of you that didn’t attend you can get more information from our recent blog post that provides links to two application notes for both. 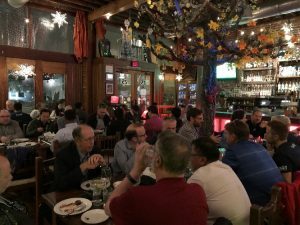 Third, as with all events, networking occurred throughout the event as attendees were able to connect over meals, breaks, and the opening night mixer reception. We found many attendees appreciated the opportunity to catch up with old friends and make new ones. This year we were at a new venue that provided more room to mingle and talk. 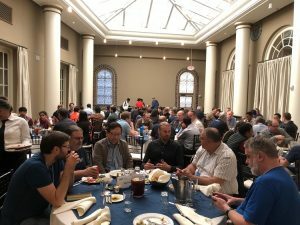 Additionally, we implemented this year the first ever “Ask the Expert Lunch” event with experts at 10 themed tables that could address any questions attendees had. The response has been overwhelmingly positive to this new addition to ConfD Developer Days. We will continue to make this a facet of our events moving forward. Last, but not least, many sidebar conversations were had between the Tail-f team members and customers. We love talking with and learning from each and every one of you. What a great way to get to know you, your challenges and provide greater support in solving those challenges. One way to connect with us and other customers outside our annual event is our “ConfD Forum.” If you haven’t already, take a moment and sign up today to ask questions, provide answers and connect with like-minded professionals trying to do what you all do best – deliver advanced programmability and automation through new physical and virtual network elements. We are already starting to think about ConfD Developer Days 2019. Attendee’s responses to our follow up survey will help to make next year’s event even bigger and better. I am looking forward to seeing you there!